Hi, everyone. OK, so the annual Best of.. lists have been showing at Cinema Knife Fight, and mine is now up. I wrote this list a few weeks back so there are some I would have added since, but this is a good cross-section of films, half genre, half not. Check it out here! You can see the whole shebang in chronological order, at my Gallery Page. What Did I Read in 2014, You Don't Ask? I forget who suggested this one, but I began reading, and made it halfway through, The Fabric of This World: Inquiries into Calling, Career Choice, and the Design of Human Work by Lee Hardy - now there's a title to end all titles. It was actually interesting, but very academic. By academic I mean not that it was stating obvious truths, but that it read like a textbook. Because it was. Still, maybe something good stuck in my brain. At the time, I was trying to find a way to motivate myself to get my life in order and become more productive. I tried to go back to books on CD for a while. The Harbinger by Jonathan Cahn was a quasi-non-fictional treatise on God's pending judgment on the US, thinly disguised as a fiction suspense book. I didn't care for the writing too much, but the point he makes in tying the economic collapse to the 7 year cycle given to the ancient Israelites was interesting if not a bit forced in some places (fascinating in others). Makes me want to change my investment mixes to guaranteed rates for the upcoming year at least. Neither of the above was in my Favorites categories, needless to say. I was happily surprised to find my most enjoyable reads came from friends and fellow writers. 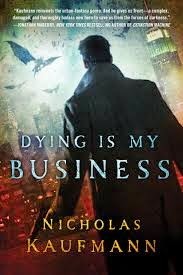 Dying Is My Business by Nicholas Kaufmann was just fantastic. I've always enjoyed Nick's stuff and was thrilled to see he'd made the big time, publisher-wise. This book is a non-stop supernatural crime action yarn. Seriously. One of those books that ends too quickly, too. It's the first in a series and I need to look up the next one, which I think is out now. Devourer of Souls by Kevin Lucia is another high-caliber treat, with two powerful horror / coming of age novellas and a connecting storyline woven through (which I could have done without, since the novellas were so strong on their own). The married team of Laura Cooney and L.L. 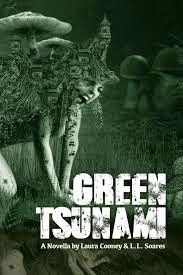 Soares gave us a new novella called Green Tsunami - this was a mind trip, surreal horror / sci-fi at its finest, and a blast to travel through. 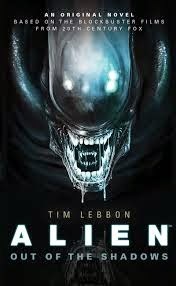 Finally, Alien: Out of the Shadows by Tim Lebbon scared the boogers out of me, much like the original Alien novelization by Alan Dean Foster did eons ago when I was too young to see the film. Tim actually managed to bring back Ripley in a tale that - believe it or not - takes place between the films ALIEN and ALIENS. Implausible? Yes. One of the scariest sci-fi horror reads of the decade? Yes. Special honorable mention to first-time novel The Specimen by Pete Kahle, an ambitious tome of a story which breaks a lot of norms to make an interesting debut. Before Rich Chizmar began his fascinating Stephen King Revisited Essay series last year (and it's still going on - if you're a fan of King's work you'll want to subscribe to this free list), I had decided to read Stephen King's early works - the earliest novel of his I'd read was The Stand. Though I enjoyed the movies based on his first few books, I'd never bothered to read the original material. So, I picked up 'Salem's Lot one day at B&N and gave it a read. 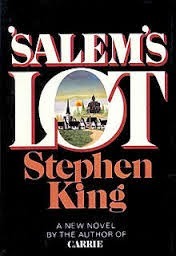 I can see how, at the time, this first book published by King rocked the horror world by dragging vampires into the modern day, but reading it in 2014 it lost much of its shine, pun intended. His writing was impeccable as always, but vampires in fiction in the 40 years since this book came out have evolved. It was a pleasure to return to old-fashioned, evil vampires, inspiring, even, but there were too many inconsistencies (for instance it took days for someone to become a vampire early in the book, and only hours near the end) to make it perfect. But I'm very glad I read it. I'm currently reading The Shining, also by Stephen King - and am enjoying it immensely so far. I also picked up Dracula by Bram Stoker, since I'd never read the book, only seen every film adaptation ever made (that was worth watching). I've put it down for now, but might pick it up again after finishing The Shining. I should point out, as I neared the latter 3 months of 2014, my book reading dropped considerably because I, Scott Goudsward and David Price are editing a new short fiction horror anthology for the New England Horror Writers, and the subs have been coming in. Trying to catch up now. Some tough decisions to make, but I've been enjoying the experience. Other books I've read this year, Afloat by Erin Healy, Other Waters by Eleni N. Gage, and The Name of the Wind by Patrick Rothfuss, I'd started but - though the writing was stellar - I just didn't connect with them and so did not finish. I read Heaven Is For Real by Todd Burpo because I was curious how the book went before seeing the film. 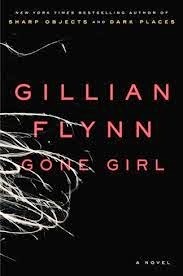 Gone Girl by Gillian Flynn was another audio CD I listened to and from work in the car, and got so annoyed with the characters (the two main characters have so few redeeming qualities by 2/3 into the book you grow to despise the both of them, lol) that I skipped to the end and listened to the last CD to see what the truth was. Good ending. I want to see the film, haven't had a chance yet at this writing. 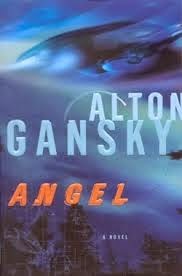 Some older books I picked up and enjoyed: Angel by friend and former mentor Alton Gansky was quite good and unique for a Christian sci-fi book - that genre not very wide-scoped, seeing as how science and religion tend to fight a lot when stuck in the same sandbox for too long. 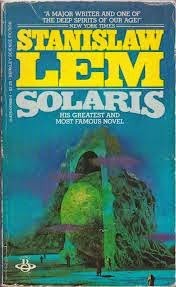 :) Solaris by Stanislaw Lem, a 1960's Polish novel was an exciting adventure for me, having seem the Soviet film ages ago. 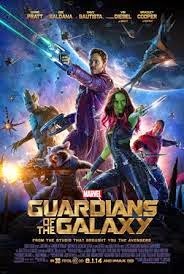 I did a review of the book, the 70's film and the 2000's remake here. 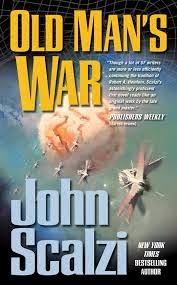 A science fiction book I got on sale for my kindle, Old Man's War by John Scalzi, was just brilliant. I've never read Scalzi before but I'm very glad I did. There'll be more from him on future lists. I finished the Scalzi book on vacation and needed a read, so picked up my daughter's Looking for Alaska by John Green. Some surprising content for a "young adult" novel, but then it's "young adult" not a kids' book. Looking for Alaska is one of my favorite non-genre reads of the year. A coming of age in a private school, not an uncommon theme, but so well written. Green's a favorite among so many readers, so I'll definitely grab another from him soon. OK, that's it. Need to read through the rest of the NEHW stories and make some decisions, then I can get back to the foreboding atmosphere of The Overlook Hotel.